Wall Street and Main Street remain bullish in the weekly Kitco News gold survey. A number of analysts and traders cited an expectation that the U.S. dollar’s recent rally will stall, which would help gold due to the inverse relationship between the two. Others cited technical-chart strength in gold. Seventeen market professionals took part in the Wall Street survey. There were 13 votes, or 76%, calling for higher prices. There were two votes each, or 12%, for both lower and sideways. Meanwhile, 455 respondents took part in an online Main Street poll. A total of 244 voters, or 54%, called for gold to rise. Another 115, or 25%, predicted gold would fall. The remaining 96 voters, or 21%, see a sideways market. Sean Lusk, director of commercial hedging with Walsh Trading, looks for gold to remain in an uptrend amid geopolitical uncertainty over issues such as U.S.-China trade negotiations and reports that President Donald Trump is going to declare an emergency in an effort to fund his border wall. He also cites gold’s ability to hold a number of lows lately just above the $1,300 level. “From a technical standpoint, we should start to run here,” Lusk said. Several Wall Street respondents called for gold to rise on an expectation that the U.S. dollar will lose some of its upward momentum. “The dollar seems to be hitting resistance up here,” said Bob Haberkorn, senior commodities broker with RJO Futures. Additionally, some Federal Reserve officials are scheduled to speak next week and are likely to tilt dovish, Haberkorn said. “That should be supportive for gold,” he said. 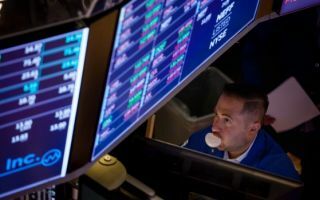 Charlie Nedoss, senior market strategist with LaSalle Futures Group, also said the U.S. dollar is probably getting to the high end of its trading range and he doubts it will rise further, particularly after softer U.S. economic data lately. Eugen Weinberg, head of commodity research at Commerzbank, said that he expects gold prices to continue to rise despite recent upward momentum in the U.S. dollar, adding that it will be difficult for the U.S. dollar to keep rallying in the face of growing headwinds. 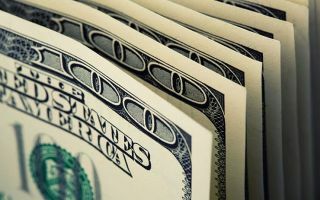 “There are a number of factors weighing on the U.S. dollar: growing recession fears, weaker manufacturing data and a Federal Reserve that will not be raising interest rates anytime soon,” Weinberg said. 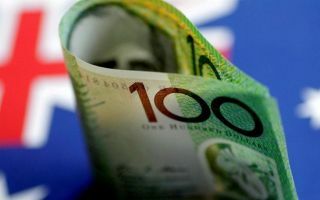 Meanwhile, David Madden, senior market analyst at CMC Markets, said investors could expect to see gold rally even if the dollar does likewise. He favors buying the metal on price dips. 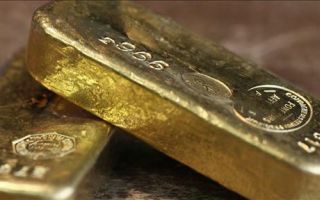 Richard Baker is one of the analysts who sees a temporary pullback in gold, calling for consolidation of the recent gains. 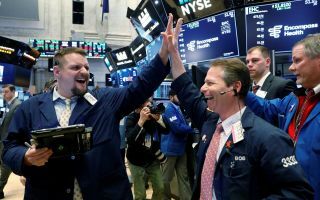 He pointed out that the metal had a good week despite a strong dollar and gains in U.S. equities, and gold bounced from its 200-day moving average “like a rubber ball” earlier this month. He said 10-year inflation expectations are rising again from the early-January bottom, stabilizing real rates below.